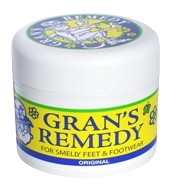 Grans Remedy - No prescription needed - buy online at low prices from PharmacyDiscounter.com. 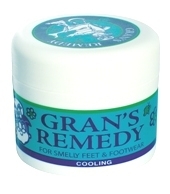 Gran's Remedy Original, Cooling & Scented Foot Powders. 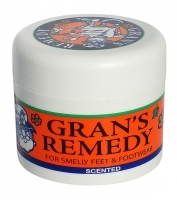 Grans Remedy - Foot odour control. Orders are dispatched within 24 hours, and sent by FREE fast worldwide delivery.